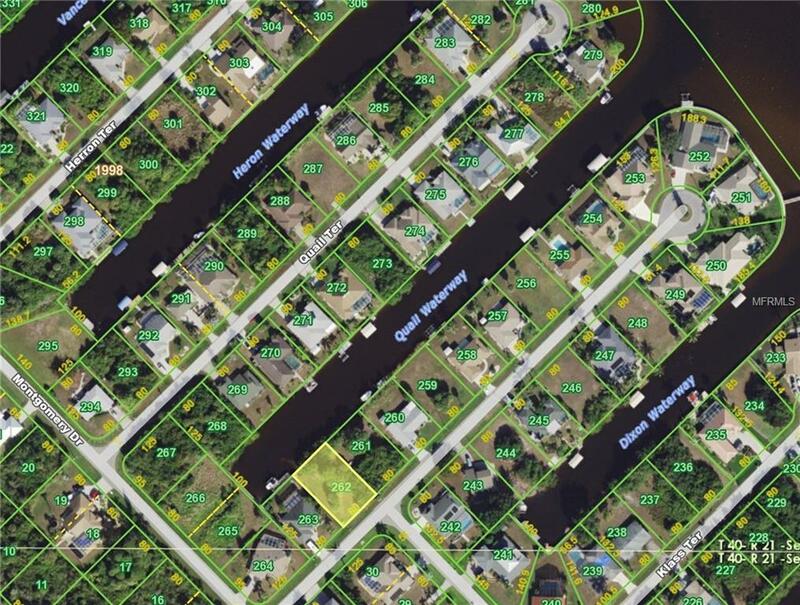 Gulf Cove salt waterfront canal lot with access to the Myakka River, Charlotte Harbor and Gulf of Mexico. Convenient to shopping, restaurants, numerous golf courses and all conveniences in Port Charlotte and Englewood and just a short drive to the Gulf Beaches. Great time to build or invest for the future.